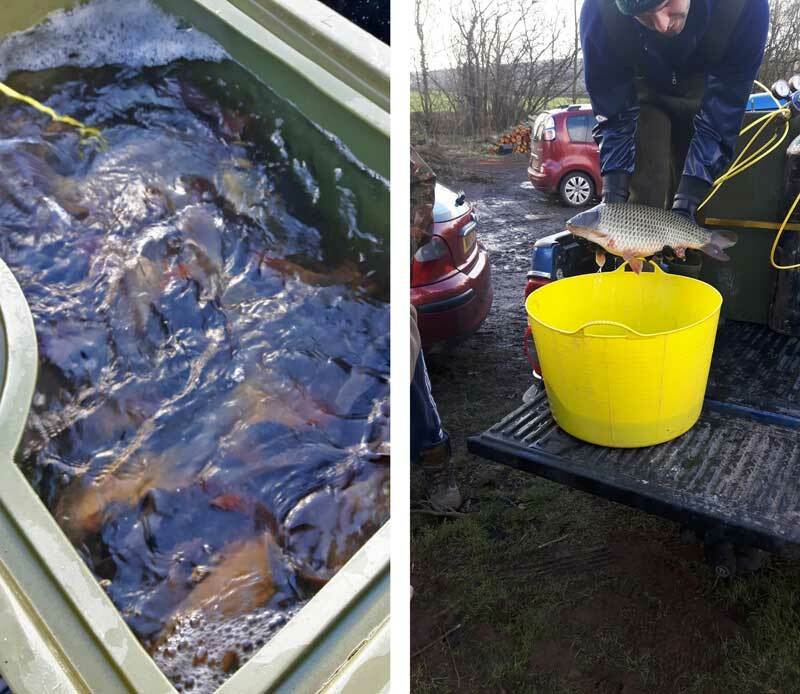 This delivery of fine new fish arrived at Elton Carp Lakes in mid January 2017. The new carp are carefully unloaded from the delivery truck. New carp on their way to their new home. 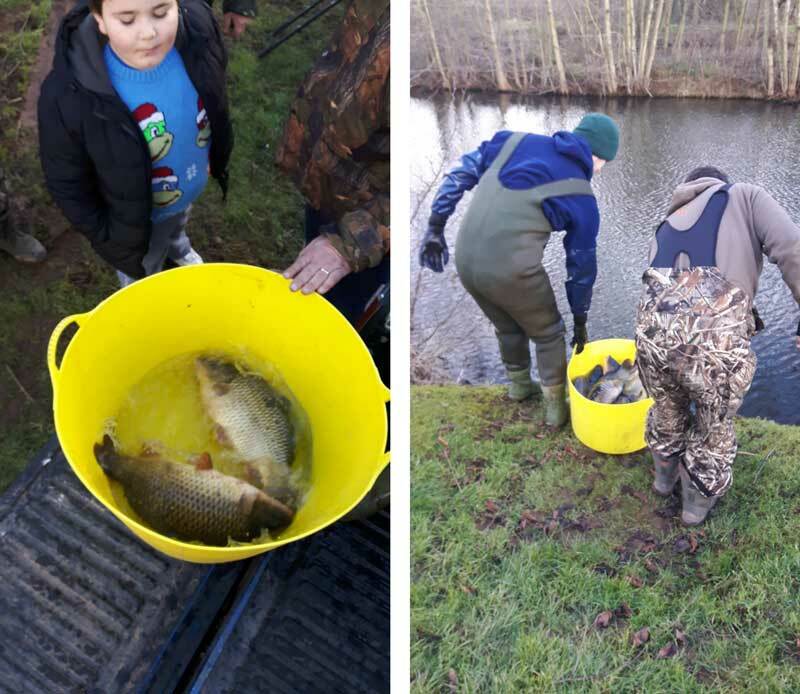 The new carp are released into their new home. And released into the water. 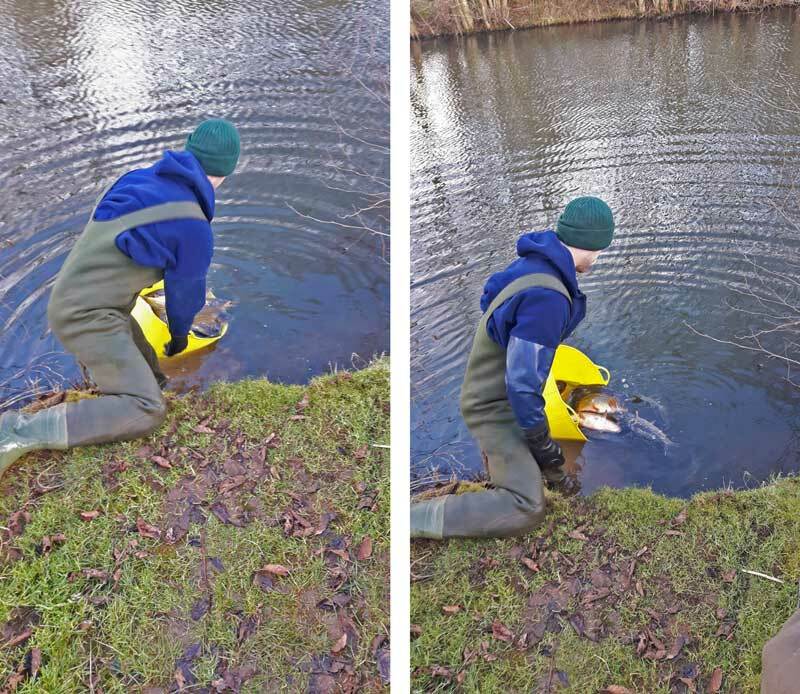 About 100 new fish were released into the bottom pond. Come and have a go at catching them soon.